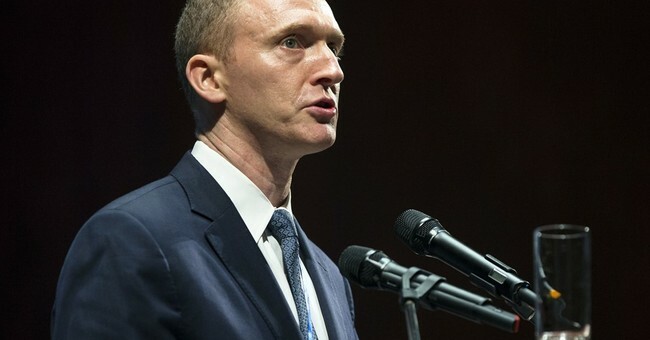 The Department of Justice released a batch of documents yesterday regarding the FISA application used to collect information on former Trump campaign advisor, Carter Page. The president responded today t by saying the documents prove that the FISA process was a “scam” used to help the Democratic Party which led to special counsel Robert Muller’s “witch hunt” into alleged Russian collusion in the 2016 election. Accordingly, Carter Page told Fox that, "I'm having trouble finding any small bit of this document that rises above complete ignorance and/or insanity." Fox also notes that, "Based on what is visible, the dossier is not described as a political document, as the Democrats have asserted; rather the FBI speculates to the FISA court that it was commissioned to damage Candidate 1, who is Donald Trump." "On page 16, the full quote reads: “The FBI speculates to the FISA court that the U.S. person was likely looking for information that could be used to discredit candidate 1’s campaign," Fox adds. Democratic Party minority leader Nancy Pelosi issued a statement, saying, “For more than a year, House Republicans have bullied the Department of Justice and FBI to release highly sensitive documents to derail the Special Counsel's and other legitimate national security investigations and cover for the President. For the sake of our national security and our democracy, these vital investigations must be allowed to continue unhindered by Republican interference. The GOP must cease their attacks on our law enforcement and intelligence communities, and finally decide where their loyalty lies." The president responded, saying, the documents prove the investigation into his campaign is a "Witch Hunt Rigged, a Scam!" and that the documents "confirm with little doubt that the Department of 'Justice' and FBI misled the courts." As the Daily Caller notes, the FISA application "shows that the FBI and Justice Department believed Steele to be a 'reliable' source. Steele has been compensated for other work by the FBI, and his intelligence has been used in other criminal proceedings, the FISA application says." Robert Mueller's investigation is ongoing, but so far has not proved any evidence of collusion between President Trump and Russian officials to interfere in the 2016 presidential election.